A suspected robber, Shadrach Jeminiwa, has met his waterloo during a robbery at Ido-Ekiti in Ido/Osi Local Government of Ekiti State. A woman, Mrs. Bukola Ogunmiloye, dispossessed him of his pistol. The victim shouted and neighbours rushed to the scene to apprehend the suspected hoodlum. The 27-year-old suspect was arraigned at an Ado-Ekiti Chief Magistrates’ Court yesterday. He is standing trial on a two-count charge of conspiracy and robbery. Jeminiwa pleaded not guilty. The Nation reports that the prosecutor, Oriyomi Akinwale, told the court that the accused committed the offence on or about February 13 around 10a.m. He alleged that the accused went to the home of Mrs. Ogunmiloye while she was not at home, stole her belongings, not knowing that she was in the neighbourhood. The prosecutor said: “Immediately the woman entered, the accused removed his pistol and pointed it at her. “But the woman was brave enough to disarm him. She gripped his hands and disarmed him. He said the offence contravened Section 1 (3) (a) of the Robbery and Fire Arms (Special Provision) Act 2004. 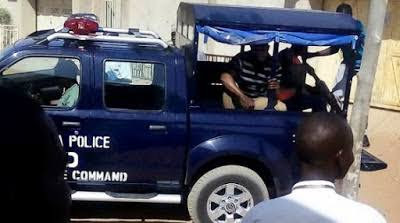 The Magistrate, Mrs. Modupe Afeniforo, ordered that the accused be remanded in prison custody pending legal advice from the Department of Public Prosecutions (DPP). The court adjourned the case till April 20.